Welcome to the top practical, hands-on export training centre in Nigeria. 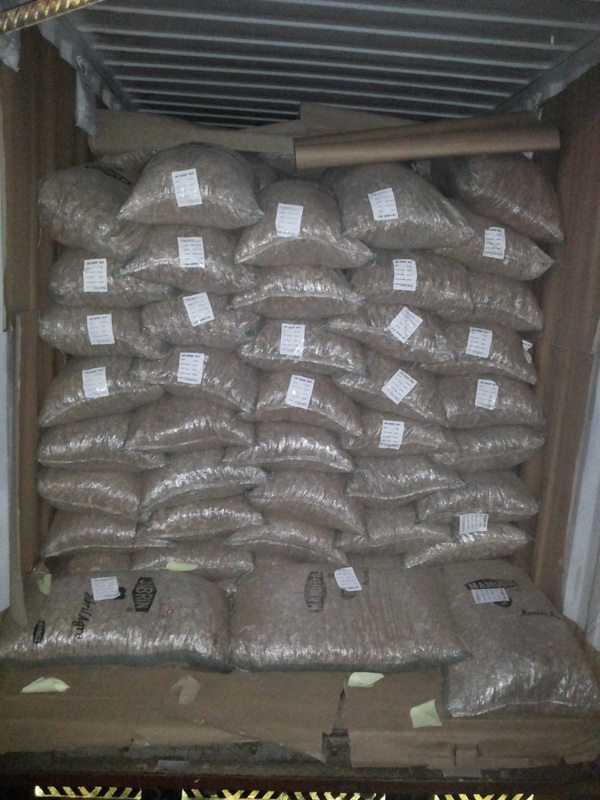 Here, you will learn all that is required to successfully run an export company. 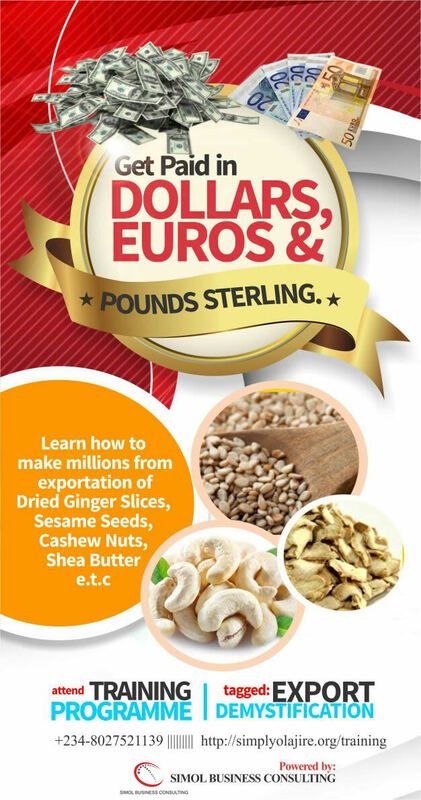 Are you interested in learning how to export commodities such as Tiger Nuts, Shea Nuts, Cashew Nuts, Shea Butter, Cocoa Butter, Dried Split Ginger Slices, Fish, Vegetables, Snails, Packaged goods etc from Nigeria? It is no longer in dispute that one of the best ways of generating continuous flow of forex and fantastic return on capital is via exportation. Like any other business, deep, practical knowledge is required to be effectively positioned to enjoy the many benefits of exportation in Nigeria. 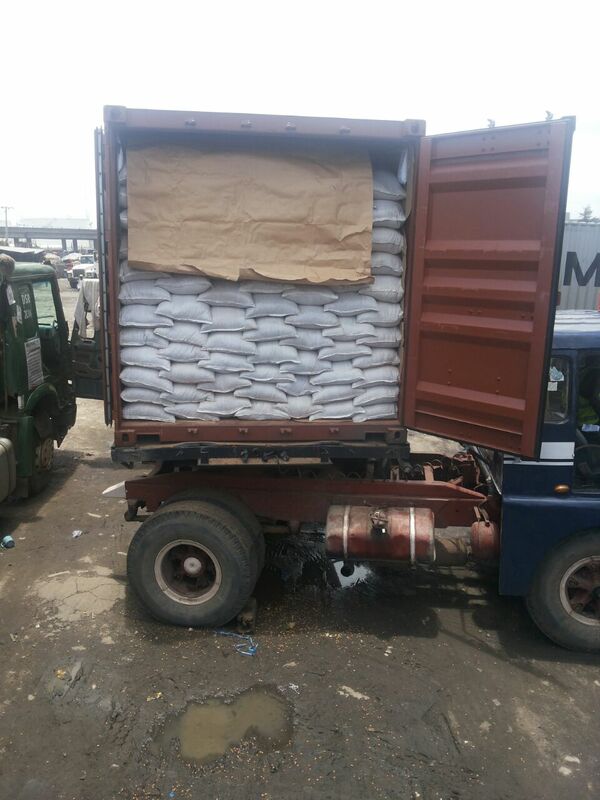 Export is wide and covers several areas such as agricultural commodities (such as Tiger Nuts, Dried Split Ginger, Hibiscus Flower, Cashew Nuts), bio-mass/ agricultural waste, mineral resources, fisheries etc. There are some which require large outlays where millions on Naira are required and several that can be completely executed with One Hundred Thousand Naira or less. Do you have the desire to make millions from export? Do you want to own an export company? Do you want a practical training where you would fully understand the ENTIRE process involved in export? Do you want training on export that goes beyond the usual one- day-in-a-cozy-hall-never-going-out-to-the-field training? Do you want to see for yourself -live- the execution of an export contract? Are you interested in making investment that would deliver you from your current hectic job? 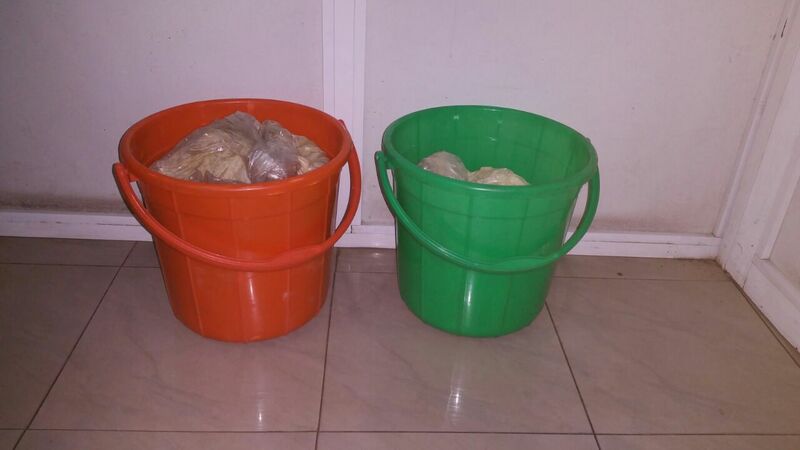 Do you want to be free of the daily fear of the sack prevalent especially amongst workers in Nigeria? Do you want to have your own business? Do you want to be your own boss? Do you want to be financially free? If you answered “yes” to any of these questions then you are in the right place. We have customized trainings, seminars, workshops etc designed to take care of all these and more. Come learn everything there is about how to make millions from exporting products all over the world from Nigeria. Our trainings are not for the lazy; they are 100% guaranteed hands-on training for every single participant. You will not only learn theories, you will actually see, feel and participate in the execution of extant contracts. The facilitators have live contracts to execute and are prepared to allow closely learn from them. Our one singular goal is to make each of our trainees immediately competent to run their own successful export company. Now, you have the opportunity to attend export seminars, work-shops and trainings organized by top exporters in Nigeria.